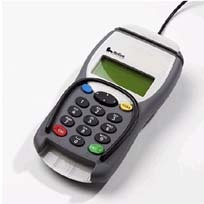 The Verifone Dione Secura pin pad is a highly secure, easy to use PIN pad that features both magstripe and EMV smart card readers. Backlit LCD screen 132 x 64 pixel resolution. Dimensions W230mm x D174mm x H124mm. The Verifone Dione Xplorer portable wireless pin pad uses Bluetooth wireless technology to provide secure card payment at the table or in the queue. 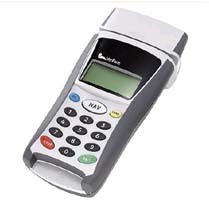 The Xplorer combines advanced payment technology with maximum convenience in a lightweight, robust solution. Its compact design fits neatly in hand and accepts multi-application smart cards as well as magnetic stripe credit and debit transactions.